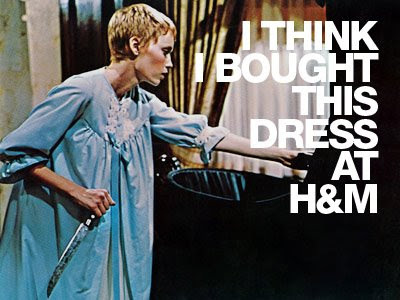 rosemary's baby is the midnight movie this weekend! as we are demented like that, our favorite scene is the end when rosemary sees the freaky cultists with her demon child and they start shouting HAIL SAY-TAN, HAIL SAY-TAN ! it's hilarious and scary.